It is astounding what you can see and do in 36 hours, when you put your mind to it. 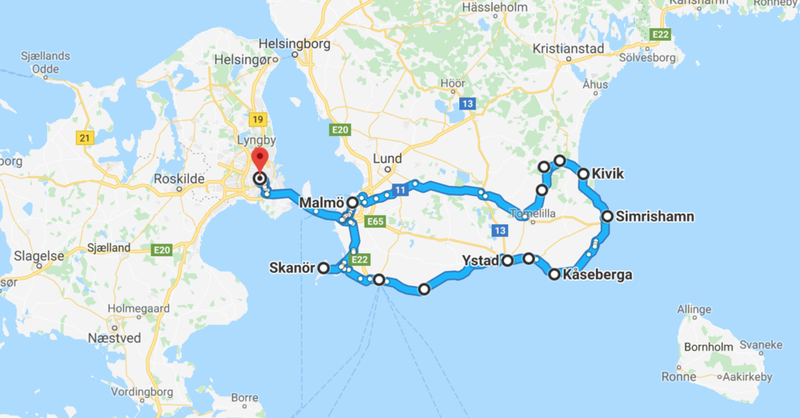 The Øresund Bridge opened in the year 2000, linking Copenhagen and Malmö, Sweden. Forty five minutes after departure and we could finally increase our country count by one. We had booked an Airbnb in Brösarp and otherwise had very little planned for our Swedish getaway. Delighted to be exploring new territory we pointed about everything Swedish we saw or remembered. The hundreds of Volvos on the road, the Ikea sign right after the bridge, the Danish-Swedish TV series, Broen, where the opening scene takes place at the border in the middle of the Øresund Bridge or the group of roller skiers we saw as we followed the coastline and on our way to the Beach at Skanör. See the captions below photos for details. This must be why most Swedes seem super fit! 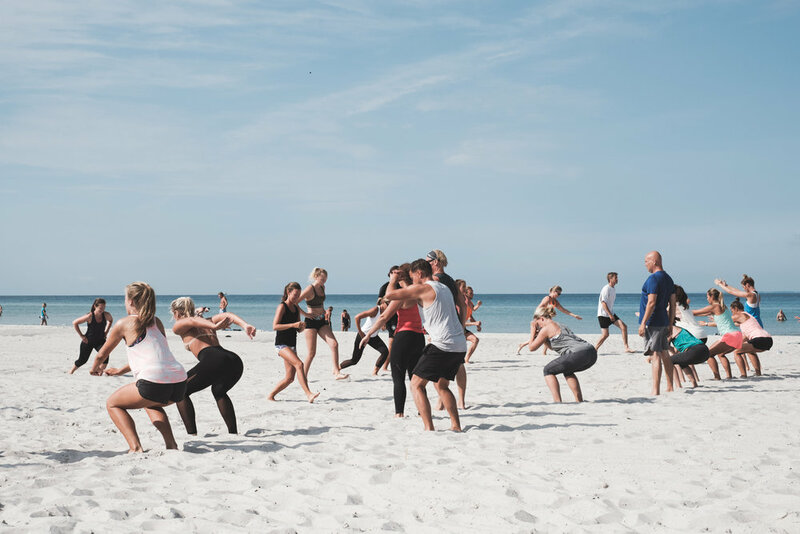 Fitness workout on the beach in Skanör. The photo is black and white but it was the clearest and warmest water imaginable, and the bluest of skies. And it's Sweden - who knew! Tiny beach houses in Skanör. We are big fans of the Swedish TV crime series, Wallander. 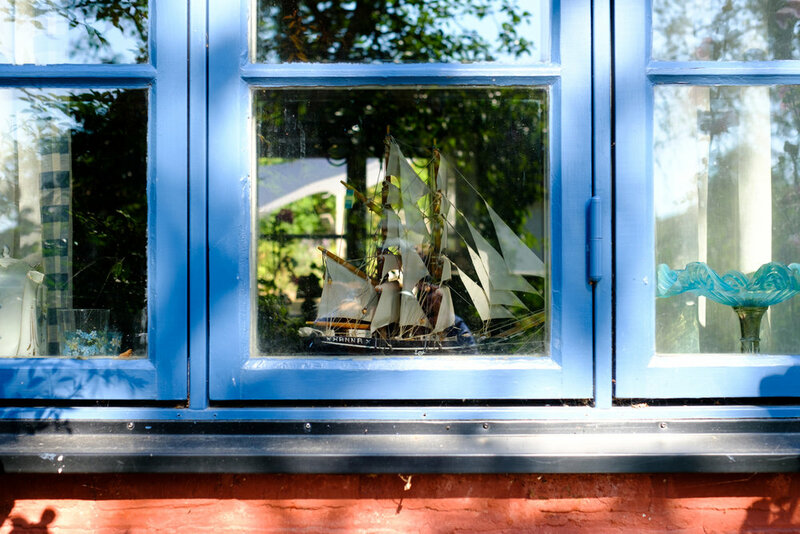 It is set and was filmed in and around the the city of Ystad, on the southern coast of Sweden. A tourist hot spot along the south coast, Kåseberga Ales stenar at Kåseberga is one of Skåne's most popular attractions. 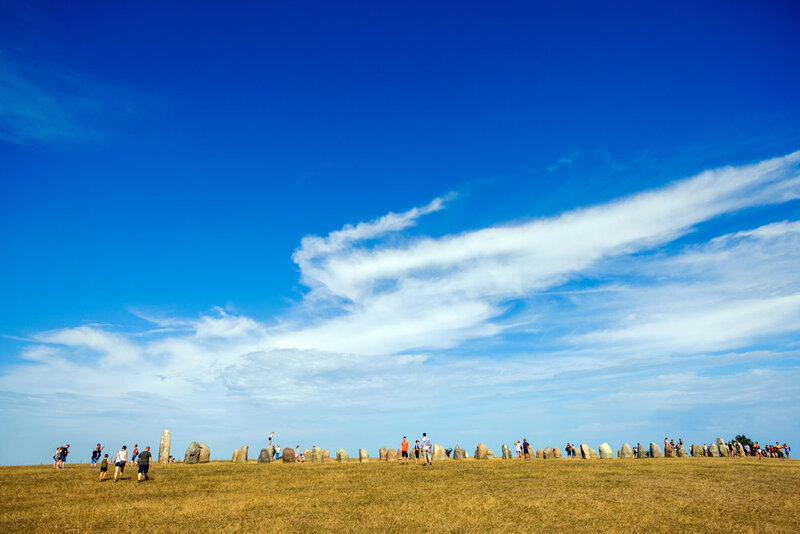 Ales stones consists of 59 large boulders, standing in a 67 meters long and 19 meters wide ship-like formation. Using carbon dating, it is estimated the stones were placed about 1400 years ago at the end of the Nordic Iron Age. An impressive sight where sea, earth and sky meet. Several paragliders took advantage of perfect conditions at Kåseberga. Morten fleeing the crowds at Kåseberga. We stopped for a swim in Simrishamn and later for dinner in Kivik, followed by a quick stroll. Lots of families cooling off by the water. A photo for my good friend Hooley Dooley. I am sure you'd enjoy this Dooley. 0.5L of Swedish non alcoholic Silla (=herring) beer to go with our choice of dinner, fried herring and salad for Di and fish and chips for me. Astrid Lindgren country - soft light and winding roads en route to our Airbnb i Brösarp. Our Airbnb in Brösarp, the Old Doctor's annex. We went for affordable and very basic accommodation but were still a bit surprised. The shower was in the adjacent building and we had make the bed and then strip the beds and vacuum before checkout or risk additional fees. Come to think of it, we also did all the work booking it online. Russ, what do you think a new model for Vance Creek? All kidding aside, we slept well and the host was super friendly and offered plenty of advice on what to see in a region he was clearly very proud of. We felt at home in the rolling hills of Brösarp and you could easily mistake it for Canada. Hallmölla is the largest waterfall in Skåne, and with a height of 23 meters the tourist pamphlet photos looked impressive. It was perhaps not quite as majestic this very dry and hot summer. The 23 meters appears to be the total drop of 4-5 smaller falls. Di had a quick siesta on the rocks as I fiddled with ND filters, tripod and long exposures. At 28 ℃ the shade, rocks and water were cool and soothing. Our choice of music on the drive to Malmö was Bo Kaspers Orkester and Lisa Nilsson, a couple of our favourite Swedish artists. We spent most of the afternoon in the central Malmö. We were however more impressed with the sections of town we drove through. The city has an impressive road system, nice parks and facilities. More to explore next time. 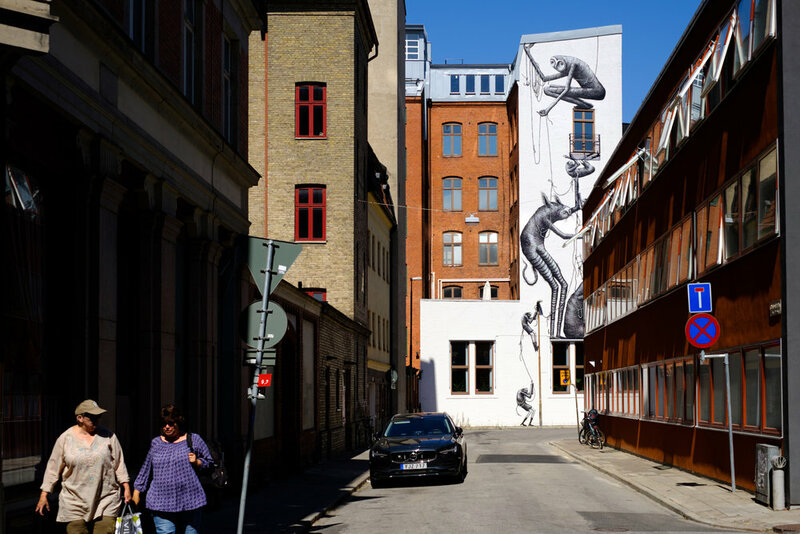 Unfortunately we had to cancel our Stockholm trip but with Emma moving to Copenhagen we should have an opportunity to visit in the future.